Successfully Added DOOGEE Voyager DG300 5 Inch Android 4.2 Phone - 960x540 QHD IPS Screen, 1.3GHz Dual Core CPU (White) to your Shopping Cart. 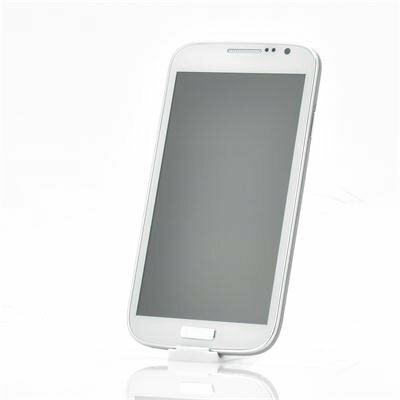 5 Inch Android 4.2 Phone with 960x540 QHD IPS Screen, 1.3GHz Dual Core CPU, 5MP Camera, 512MB RAM and more. This branded phone is now available at an all-time low wholesale price. 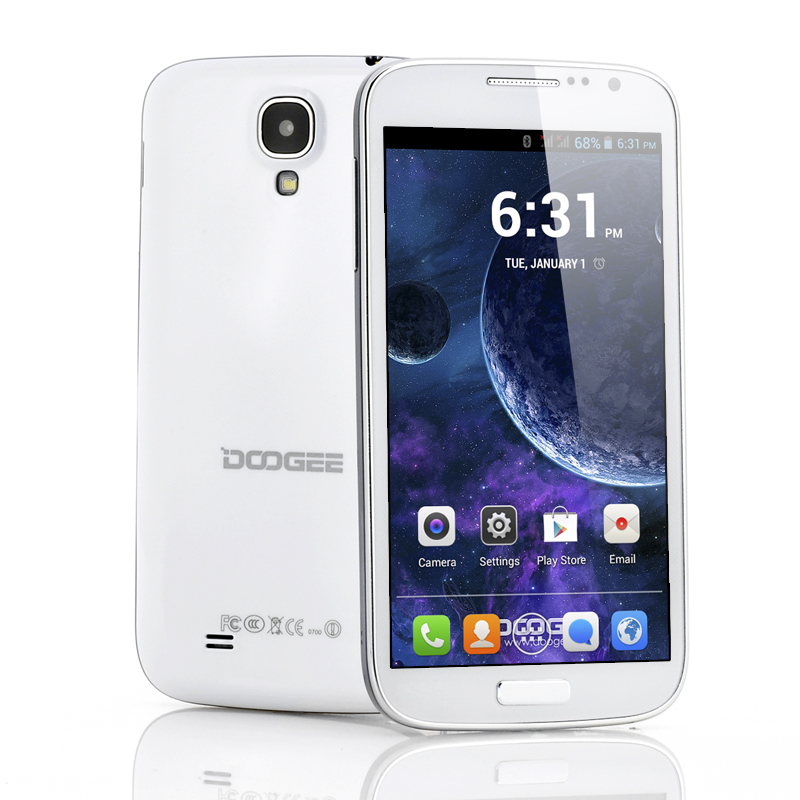 The latest DOOGEE Android phone as arrived at Chinavasion under the form of the DOOGEE Voyager DG300. Traveling through space and time, this 5 inch phone features a gorgeous IPS screen with a resolution of 960x540 on which all your media will truly come to life. Those looking for a high end phone at a low budget price have to look no further. Under the hood, a 1.3GHz Dual Core CPU can be found which, together with the 512MB RAM, will assure optimal performance time after time. Customize the DOOGEE DG300 completely to your likings by downloading apps, games, launchers and more directly from the Google Play store and enjoy the benefits of Android 4.2 to the fullest. Packing two SIM card slots, you’ll be able to insert two separate SIM cards and stay available 24/7 on two different phone numbers with the added comfort of a centralized contact list, phone log and messages. Furthermore you’ll be able to enjoy the benefits of a built in GPS navigator which will lead you effortlessly to your destination. Quality doesn’t have to be sacrificed for cost, and the DOOGEE Voyager DG300 is an example of that. This product is in stock and can be dispatched within one working day of ordering with a 12 month warranty. Brought to you by the leaders in wholesale electronics and android phones, Chinavasion. The phone is really a great value for money. I give it 2 stars in delivery 'cause it tool 35 days to come to Greece. The phone is great, really fast, plays many game, incredibly beautiful screen and the best phone worldwide for the money. Just Amazing. The camera is not really good when it comes to picture inside a house,building etc. Pictures outside though are good. No mames!!! Está súper.. La verdad fue más de lo que esperaba por lo que pagué, aunque tenia desconfianza en comprar el celular (dado que viene desde china) me arriesgué, pensando que perder 1,750 pesos MXN (México), no sería gran cosa.. El sonido está bien, la cámara frontal está mejor que otras marcas, la cámara trasera está normal, la definición está chingona y es bastante rápido.. Definitivamente compraré otro..
Al llegar mediante paquetería de UPS, nos cobraron impuestos por aduana por concepto de 20 dólares, algo que no se especifica, como recomendación me gustaría que también se advirtiera al menos en las compañías de envío de dicho cargo adicional, del celular no tengo quejas..
Top phone. Everything 's working good. Great screen, fast enough, decent apps. Guess 1GB of internal USB storage is not much.